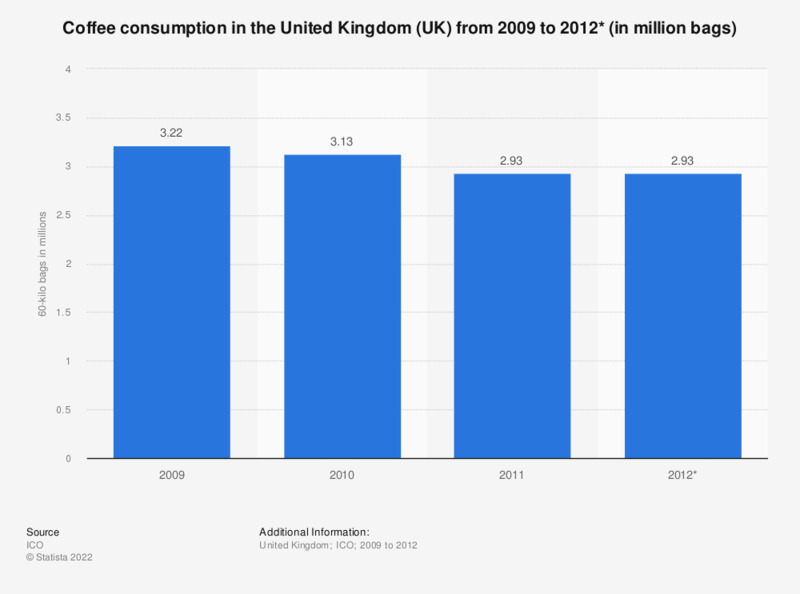 This statistic shows the volume of coffee consumed in the United Kingdom from 2009 to 2012. In 2009, 3.22 million bags of coffee were consumed. The number of bags consumed has fallen to 2.93 million bags in 2012. * Figure for 2012 is an estimate.